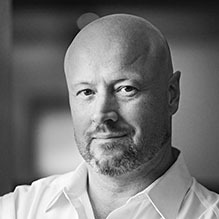 Kevin Sprague is the creative director and owner of Studio Two – a design, branding and marketing firm that helps organizations and businesses grow and thrive. He is particularly experienced at marketing and development strategies for non-profit organizations . Studio Two has developed award-winning brands for regional economic development organizations including NorthWest Connecticut, The Berkshires, Massachusetts, and New England Foundation for the Arts. He has directed the marketing for Shakespeare & Company, Barrington Stage Company, Hancock Shaker Village, and many others. His work with Palmer Westport Group includes consulting on the Roxian Theater in Pennsylvania, Barrington Stage Company and The Colonial Theater in Massachusetts, the Iowa Mainstreet Program and the Jacksonville, IL Center for the Arts. Kevin is particularly interested in the impact that the arts has on communities and is a past chair and co-founder of the groundbreaking economic development organization Berkshire Creative.